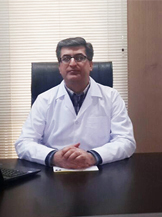 Dr. Hamidreza Sohrabi is a distinguished otolaryngologist who after being granted ENT board accomplished to fulfill additional training in rhinoplasty and advanced endoscopic sinus surgery being held at Iran University of Medical Sciences in Tehran. He has been the member of American Society of Plastic Surgeon since 2008. Immediately after the procedure, patients can freely breathe from their nose. Since there is no congestion, they are totally comfortable. Keep in mind that it cannot be achieved unless an experienced surgeon precisely does the procedure. In majority of cases (up to 90%) no tampon is inserted in the nose. Therefore it spares the patients from experiencing the torturing pain due to tampon removal. Thanks to modern techniques, in majority of cases (up to 80%) patients do not have to tolerate post operation pain. Post operation swell and bruising are commonly minimum and they usually subside after a few days. Sohrabi almost never use implants in rhinoplasty, instead in order to strengthen the nasal structure, he takes cartilage of nasal septum. So there will be no adverse reaction. Grade Skipping two years at school. Graduating from high school at 16. Passing Konkur (Iranian University Entrance Exam) at 16 and being accepted in medicine. Being awarded MD in 1997. Majored in otolaryngology as an outstanding student in 2001. Being granted board in ENT in 2004. Participating in additional training course in rhinoplasty and advanced endoscopic sinus surgery in 2007. Member of American Society of Plastic Surgeon since 2008. Being granted the award of Best Physician of the Year in 2010. Being granted the award of Best Physician of the Year in 2013.